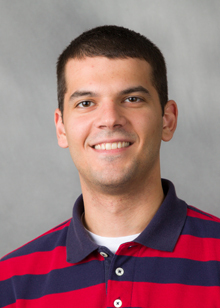 Danny Hamm currently serves as a Research Interventionist for the Strength Training for Arthritis Trial (START) at Wake Forest University. He is a 2008 graduate of the Health and Exercise Science department and completed his Masters of Public Health at Florida State University in 2012. As an undergraduate he completed an Independent Research Project in conjunction with the IDEA Study, gaining familiarity in knee osteoarthritis research. He also brings a background in sports medicine and health education into his role with START.